Based on the international popularity of our vintage wines we received an invitation from Israel in 2011, to make some of our wines according to the kosher technology rules. After lengthy professional and religious-conformity negotiations, since 2013 our company has the highest kosher licence received from the Israel Rabbinates - which is valid and can be used all over the world - in relation to producing red wine in Villány with the traditional oak barrel method. This licence is unique in Hungary. Issuing the licenses the Rabbinate confirmed the purity and uniqueness of our technology, making us really proud. The rabbinate committee has checked the entire production process and in the capacity of supervisor participates in production, fermentation and bottling activities. 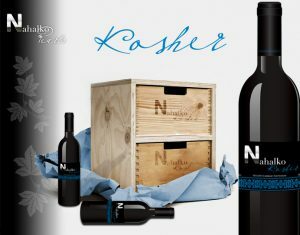 Possessing the Kosher licence, in 2013 our company has launched a traditional long-matured Cabernet Sauvingon kosher red wine which is rare and unique in Hungary and enjoys great international interest. The international popularity of our wines brought us the idea and we got request from one of our foreign partners to produce 100% natural grape juice, free of any additives, utilizing the potentials of Hungarian grapes to the utmost and providing the same care, expertise and love as in case of our wines, a grape juice that meets the demands of the international market requiring extra high quality. After nearly two years of professional and manufacturing technological consultations and thanks to the guidance of the Head of the Wine and Beverage Department of the Corvinus University, in 2015 we started some pilot manufacturing and produced our first fruit juices bottled in 250 ml and 750 ml bottles. The fruits were handpicked, selected, and only the very best quality was used, and we started processing within a few hours of picking using a special filter-free and air-free cooling-thermal treatment method. Our product was very much appreciated by our customer. At the same time we also noticed a similar interest from our Hungarian and international partners regarding our unique quality fruit juice.